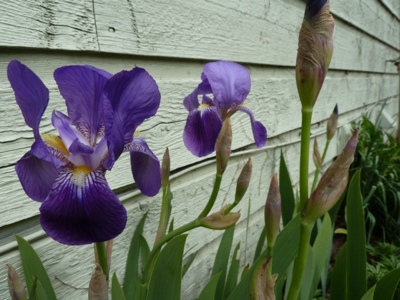 My Home and Garden: Iris about to bloom. In April!!?? Can you believe this?! 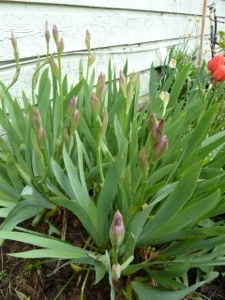 This iris is covered with buds already. This has been the most amazing spring we have had in the 35 years we have lived on the island. We did not get a single snowflake this year. First time ever. It has been so mild that many annuals from last year are blooming. My calendula has bloomed all winter. I have spring fever. I have it bad!